Home » Travel Indonesia » Ngobaran beach (pantai ngobaran) ,Indonesia. Ngobaran beach (pantai ngobaran) ,Indonesia. 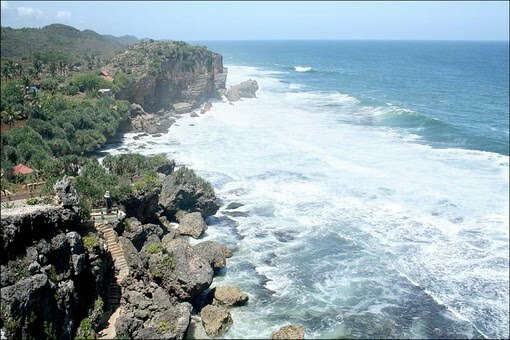 Ngobaran Beach is one beach in the district Gunungkidul, its natural beauty is not in doubt. Limestone hills, towering rock Kars with indentations typical caves, steep cliffs and white sand facing the faithful deburuan waves. Thundering voice sang out like the gods, and the winds that hit the body, hit the ear leaf was whispering magical about a long history, people of Java. 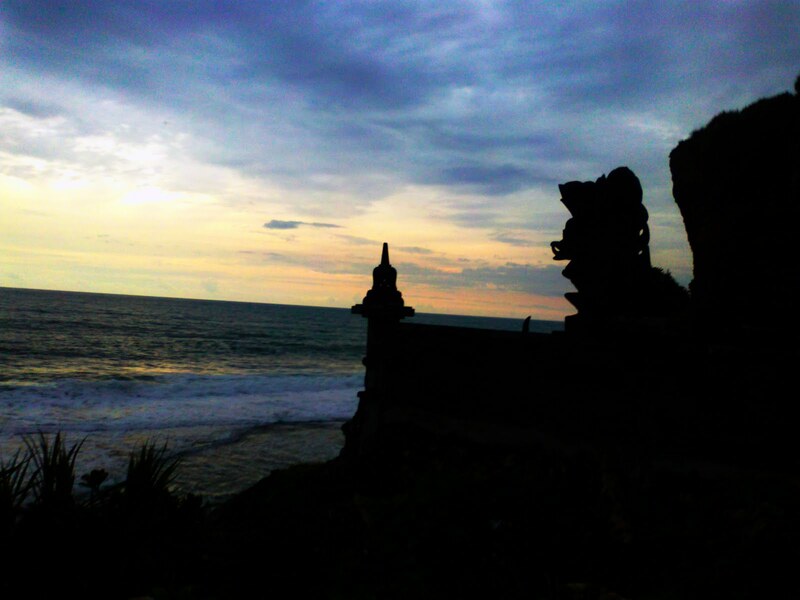 Ngobaran beach is located in the village Kanigoro, sub Saptosari. 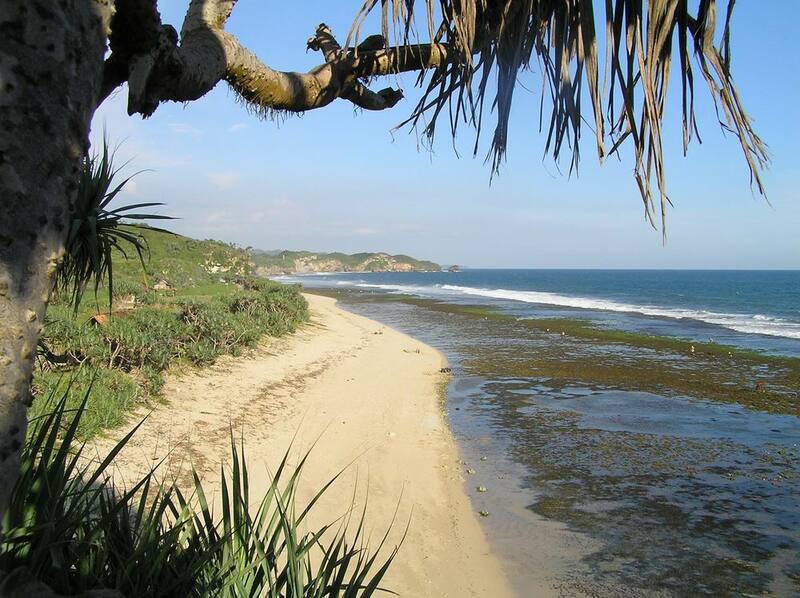 This beach can be reached by vehicles from the city of Yogyakarta, approximately 65 miles. The trip from Jogja through Piyungan district, Bantul district continues to rise to the south, entered the district through the district Patuk Gunungkidul. Once off the Forest Education Wanagama, till in a junction d'Ivoire, long before the city Wonosari then directed the vehicle to the right, toward Playen districts, subdistricts Paliyan, through Trowono Sodong through the woods, it will go through the village Kanigoro and find directions to the beach Ngobaran. Enjoy the natural beauty of the beach Ngobaran will not end, it's exotic beaches, from morning till night, many of which can be enjoyed. If the tides by the pounding of the waves that hit the steep rise teping Kars sounds fun, splashing water and the foam is very beautiful. When sea water is receding should launch into the surface of the sea grass that is green or brown like persawan and Intermittent township residents. If we approach it will be found a variety of flora and fauna, is very rich in species of coral reefs, a variety of algae, sea urchins, clams, starfish, shrimp, lobster, fish. Ditemuai also be a very interesting natural phenomenon that is the pounding of feet ombah below, in between the crevices of rocks. In the evening when we go up on the hill it will be seen the sun sets right behind the temple building. At night can feel how cold and the sea breeze, the sky is a will to understand that we are part of a long history.